Colorado schools make a credible argument that a little more money would make their job easier. But Amendment 73 on this year's ballot is the wrong answer. The most ominous force against education funding in the Colorado budget is rapid growth of entitlement spending - not lack of money. Ten years ago, spending on K-12 public schools accounted for 43.3 percent of the state's general fund budget - the portion funded by our income and sales taxes. Today, education accounts for just 36.6 percent of that same budget. On the other hand, spending for human services and health care, the source of most state-level entitlement programs, has grown from 30.2 percent to 34.0 percent and the number of Coloradans on Medicaid has nearly tripled to 1.4 million. If today's budget were allocated at 2009-10 levels, our public schools would receive an additional $763 million. That's a 15 percent increase - an extra $803 per student. But leaders in the education lobby won't fight to be a budget priority. Instead, they prefer to beg Coloradans to pay more in taxes. In 2011, they asked voters for $600 million a year. Voters said, "No!" by a nearly 2-to-1 margin. This year taking a page from California's playbook, they tell voters that "only the rich" will pay for a permanent $1.6 billion tax increase. Worse still, when most everyone acknowledges that Colorado's system of taxes and budgeting is needlessly complicated, Amendment 73 makes matters worse - much worse. 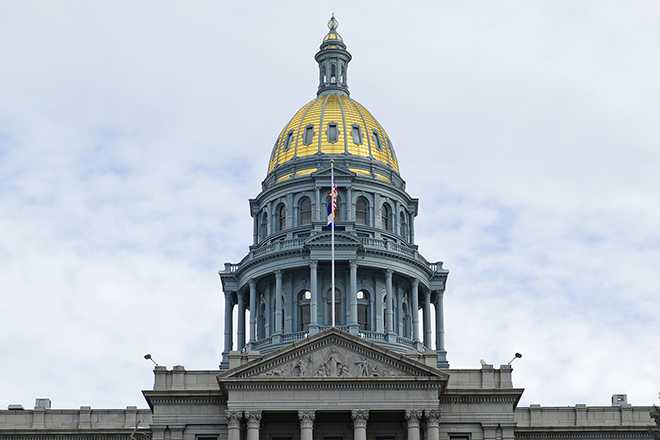 First, Amendment 73 replaces Colorado's flat-rate income tax with four new income tax levels, increasing from the current 4.63 percent to as much as 8.25 percent - that's an increase of as much as 78 percent. Proponents like to say that this is only a tax on Colorado's highest earners, but the truth is that it's an enormous tax on family-owned farms and small businesses that aren't set up as corporations. Next, Amendment 73 would increase the tax on corporations from 4.63 percent to 6 percent, assuming that a "corporate tax" increase hits only wealthy executives. But corporations are comprised of real people, often for the purpose of doing business together (or "corporately"). Proponents say this is "just a 1.37 percent increase." But if you gave that answer in a high school math class, you would fail. The tax rate is being increased by almost 30 percent - meaning that if your business or your employer paid $100,000 in taxes last year, it will pay $130,000 if Amendment 73 passes. All of these tax increases aimed at Colorado business actually hit Colorado's working families right in the wallet. If the cost of government goes up, an employer has no choice but to cut costs elsewhere - most likely harming employee wages, benefits and working conditions. Likewise, homeowners will see their property taxes increase because Amendment 73 permanently fixes residential property tax rates at 7% of assessed value. Economists forecast that, without Amendment 73, that rate will fall to 6.1%. Finally, Amendment 73 makes calculating taxes a nightmare by setting one tax rate for school districts and a separate rate for other local governments. The language is so poorly written that experts argue about how this would work, but many conclude that, as funds for schools increase, revenue to other local governments would decrease. That could mean major reductions in funding for counties, cities, hospitals and emergency services. Properly funding our public schools is important. That's why we should insist that lawmakers restore funding within the current budget. The last thing we need is more poorly-written tax policy locked into our state constitution. Mark Hillman served as Colorado Treasurer and Senate Majority Leader. He is a member of the Burlington RE-6J Board of Education. To read more or comment, go to www.MarkHillman.com.